President Trump sent a letter to House Speaker Nancy Pelosi Thursday afternoon informing her an upcoming taxpayer funded, military escorted trip overseas has been postponed. "Dear Madame Speaker. Due to the Shutdown, I am sorry to inform you that your trip to Brussels, Egypt, and Afghanistan has been postponed. We will reschedule this seven-day excursion when the Shutdown is over. In light of the 800,000 great American workers not receiving pay, I am sure you would agree that postponing this public relations event it totally appropriate. I also feel that, during this period, it would be better if you were in Washington negotiating with me and joining the Strong Border Security movement to end the Shutdown. Obviously, if you would like to make your journey by flying commercial, that would certainly be your prerogative," President Trump wrote. "I look forward to seeing you soon and even more forward to watching our open and dangerous Southern Border finally receive the attention, funding and security it so desperately deserves!" he concluded. The trip was part of a larger congressional delegation through the Department of Defense and President Trump denied her military aircraft. 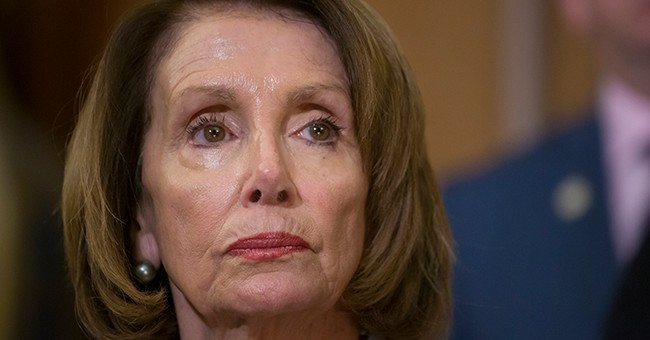 According to Fox News, Pelosi was scheduled to leave at 3 p.m. eastern on Thursday afternoon. The letter was sent at 2:20 p.m. An Air Force bus is currently sitting outside House offices, waiting to take lawmakers to the airport. Many of them are on the bus. Yesterday Speaker Pelosi wrote a letter to President Trump suggesting his State of the Union Address should be postponed. In the letter, she lied about the Secret Service being incapable to provide adequate security for the event. This is a developing story, stay tuned for updates. This post has been updated with additional information.